Apple is expected to unveil its next-generation iPhones -iPhone 6S and 6S Plus at a media event on September 9, 2015, screen sizes will remain at 4.7 and 5.5 inches, and the addition of Force Touch and 7000 series aluminum could slightly change the thickness and the dimensions of the iPhone 6S and the iPhone 6S Plus. What is the first thing you want to know after you get your new iPhone 6S/6S Plus? Well,there's nothing better than watching blockbusters on new large-screen mobile phone! However, it can get pretty frustrating when some of the video files in 2K/4K/HD just don't seem to play well or not recognized by your iPhone 6S/6S Plus at all. 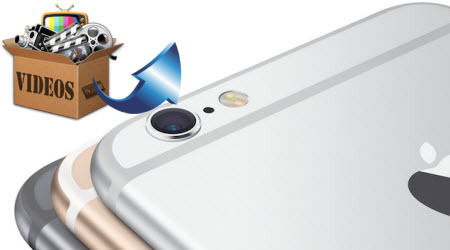 Therefore, a thorough understanding of iPhone 6S/6S Plus supported file formats is necessary. 3. Motion JPEG (M-JPEG) up to 35 Mbps, 1280 by 720 pixels, 30 frames per second, audio in ulaw, PCM stereo audio in .avi file format. As you see, many common video formats like H.265, MTS, MXF, Tivo, MKV, WMV, AVI, VOB, etc cannot be played on iPhone 6S/6S Plus directly. But with an appropriate video to iPhone 6S (Plus) converter in hand, the video format incompatibility issue with the new iPhone 6S/6S Plus will be solved. 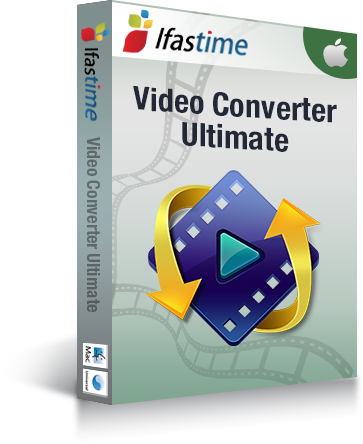 Here, iFastime Video Converter Ultimate for Mac is all that you need. The Mac video converter keeps pace with the times and supports all the existed iPhone models including iPhone 6/6 Plus, iPhone 5S/5C/5, iPhone 4S/4, etc, as well as other mainstream Apple, Android, Windows and Microsoft devices. 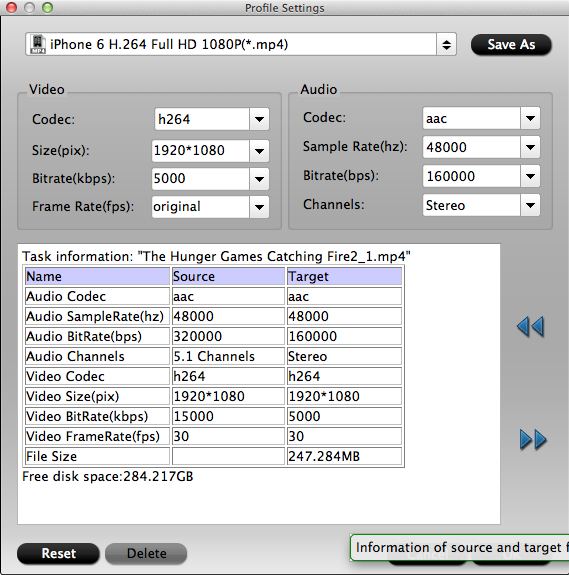 Built-in 200+ video and audio codecs, this award-winning iPhone 6S (Plus) video converter is able to change various movies including H.265, MTS, MXF, Tivo, MKV, WMV, AVI, VOB, etc. with 2K/4K/HD resolution to iPhone 6S (Plus) playable ones like MP4, MOV, M4V, etc within a short time. Once installed, you can easily Add video files from browsing your local folders and a quick drag-and-drop. Isn't that handy? Tips: On top of that, you can also edit your videos files like cropping, trimming, adding special effect, adding image/video/text watermark/subtitles, etc as you need.. What are you waiting for? This app respectively offers an optimized pre-setting for iPhone 6/6 Plus, iPhone 5S/5C/5, iPhone 4S/4, etc. Click Format bar, you can directly select "iPhone" > "iPhone 6 H.264 Full HD 1080P(*.mp4)". The preset could fit on iPhone 6S/6S Plus perfectly. And your best video settings for the iPhone 6S/6S Plus can be retrieved by clicking on the "Settings" button. The last step is to click "Start conversion" button to start the video conversion. This iPhone 6s Video converter will convert the video files with top quality. If you do not remember the location of generated files, click "Open" button to find it quickly. After finishing converting H.265/MTS/MXF/Tivo/MKV/WMV/AVI/VOB videos to iPhone 6S/6S Plus, sync them to your iPhone 6s with iTunes, you can then watch movies or videos on your iPhone 6S/6S Plus unlimitedly. 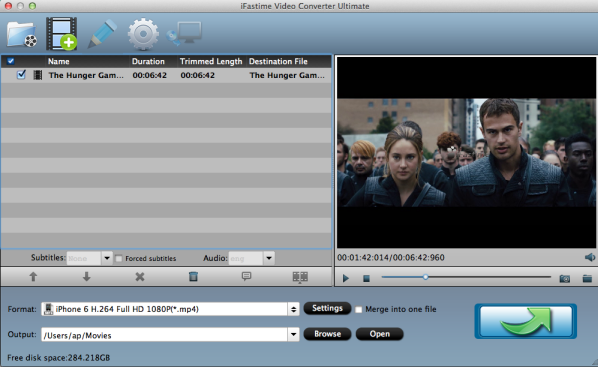 Besides common SD and HD video conversion for the 2015 new iPhone 6S/6S Plus, iFastime Video Converter Ultimate for Mac also performs as a fast Blu-ray/DVD Ripper for you to rip Blu-ray/DVD video to iPhone 6S/6S Plus, iPad, Samsung with original quality reserved in a flash. Just have a try! Wish you have a nice day! I have used the software several times. So far it is working quite well. I am using a laptop with Windows XP to do the conversion. It also works perfectly.